This “swirl” pattern is easy to knit and it’s suitable for beginners. 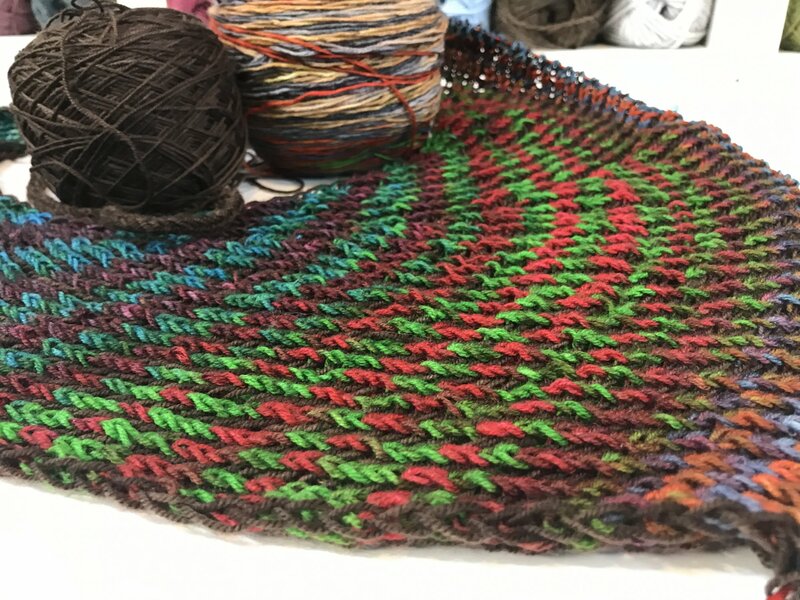 Two color brioche bandana shawl in self shaping form – round on the corner, completely reversible, and a very practical winter piece. You just need to choose: a light side or dark side and use contrasting colors. Advanced Beginner Class. 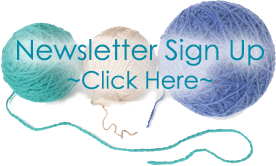 You can be new to Brioche but must be able to knit, purl, and understand I-cord. Pattern is available on Ravelry and can be purchased at the shop. All yarn for the project must be purchased at Amazing Threads.